A unique invigorating salt scrub gently cleanses and renews the skin, stimulating the recovery process. The skin becomes soft and elastic, its elasticity increases. RESULT: Instant: smooth, silky and radiant skin. After 2 weeks: more elastic and resilient skin, healthy even color. Thermal mud is a real storehouse of minerals and trace elements. It is an effective natural antiseptic that promotes healing and renewal of the skin, making it smooth and radiant. 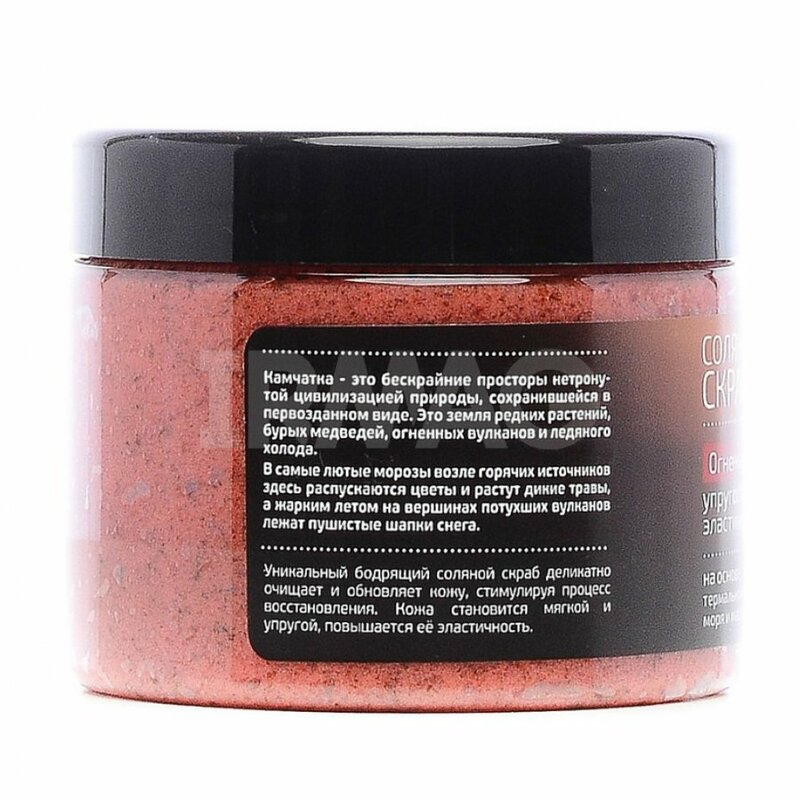 The salts of the Sea of ​​Okhotsk cleanse and smooth the skin. Included in the minerals strengthen and tone up, giving a charge of energy and strength. 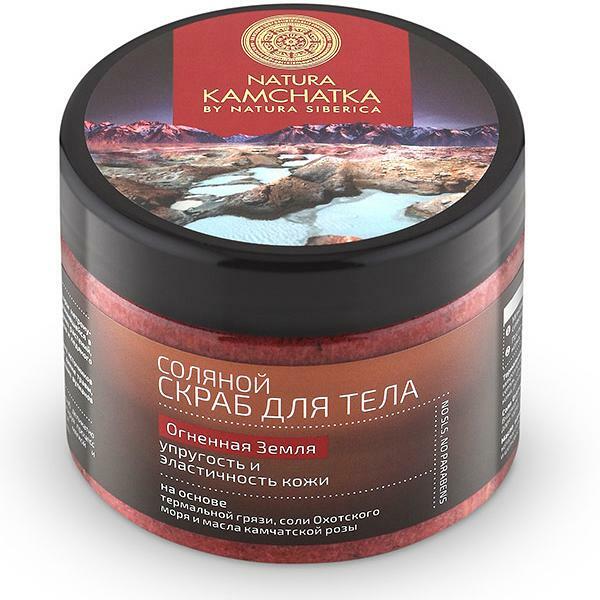 Kamchatka rose oil is rich in antioxidants, which soften and moisturize the skin, making it supple and silky. Apply the scrub on the body with light massaging movements, rinse with water.